Sore muscles and joints can be a real pain. The longer the pain lasts, it keeps you from doing the activities you enjoy that will help your muscles and joints stay in good health. What you do to soothe them can have a lasting effect. Stretching and yoga are two important activities to engage in for pain relief with healthier elasticity. Also, improving the circulation to muscles and joints can provide long-lasting recovery that helps them function smoothly. With the passing of yet another beloved rock star, Glenn Frey of The Eagles, we are reminded about the dangers of inflammation to the human body. Also, we are reminded of inflammation triggers and ways to reduce inflammatory responses in the body. "Glenn fought a courageous battle for the past several weeks but, sadly, succumbed to complications from rheumatoid arthritis, acute ulcerative colitis and pneumonia," according to the band's official website. Two of those problems, rheumatoid arthritis and acute ulcerative colitis, were directly related to inflammation. Whether you're looking to lose some weight, tone up, improve your immune system, or just develop a healthier lifestyle this year, here are 16 ways to get fit in '16! 1. 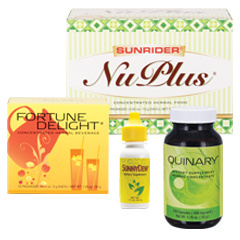 Maximize Nutrition and Minimize Calories. Consume the highest quality nutrition in the fewest number of calories. Today, it is easy to obtain concentrated levels of the healthiest phytonutrients from plants in convenient, pre-packaged whole food concentrates. These antioxidant powerhouses provide a simple way to satisfy hunger, curb cravings for unhealthy foods, maintain a healthy weight, build lean muscle, and protect the body’s defenses. 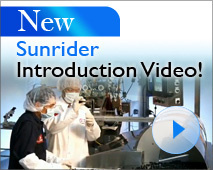 15 Years With Sunrider Products – What are the Results? I lost 30 pounds the first month and have kept most of that weight off while building muscle. I can still hike 10 miles at the Grand Canyon, where I’ve been able to complete some amazing and grueling backpack adventures. Read my Grand Canyon adventures to Blue Springs and The Confluence. I can still swim a mile in under 30 minutes.